La mia nutrice e io. 1937. DN: I would like to talk about her influences. Now we can’t differentiate her from Mexico obviously, but do you see a lot of Freud coming through from her surrealist idea? Breton said she was a natural surrealist. CH: Yes, her surrealism … she kind of didn’t align with the idea because she didn’t feel she was surrealist because she said she would paint her own reality, you know like there are two….two aspects that will define your identity and … so she had polio at the age of six … Leaving her right leg considerably shorter than her left leg – you can see some of her shoes in the exhibition. DN: Yes. This exhibition as it states, it is the first time all these objects of her life are being shown outside Mexico. What is the relationship or is there a difference between fashion and art for her? CH: With her political beliefs, … you know with her mixed heritage and with her disabilities which she also did through art and dress. V&A Felt cactus wall hanging 65x40x7.5cm £50. CH: No; no; no; it’s just background. CH: Yes. We didn’t design; the design was…was done by Tom Scott who is one of the young, up-and-coming stage designers from theatre, and when we started this project I spoke to my co-curator Claire Wilcox about, you know, the possibility of us engaging someone from theatre because they wanted a very different show to the one we did in Mexico. This show … the first show in Mexico … was designed by Judith Clark who is also a very important architect and fashion creator, and here I said well, if we want something different, let’s create this kind of different ambience that is more theatrical. So, it was challenging and it was really our collaboration with designers that was amazing. DN: I’m going ask you a terrible question. The show in Mexico in the exhibition here, do you have a preferences … a feeling that one is better than the other rather equally as good? CH: Well I think they are both very different because Appearances can be Deceiving remains like defining her … to her disabilities; here of course we expand the wardrobe in the story as well because we are incorporating, explaining her mixed heritage; we are explaining more about the influence of the Mexican Revolution. We have the opportunity to show the relationship with her father because Mexico when you go to Blue House, you have all this; there you have all the context of her life in the place where all these objects were discovered, also where she was born, lived and died and then you see the wardrobe, so here we have to contextualise all the story … in a very evocative manner to explain to UK audiences and we use a lot of archives which my co-curator Claire, she is passionate about photography. I can tell you I learned a lot – really – looking at all these objects with her because she knows her audiences very well and I was working with her on all these archives. I think the collaboration worked really well. And I love them both; they are really very different. DN: And do you have another show planned soon? CH: Well, this one will … this one at the moment is the only time we can take these archives out of the country, so we are very lucky to have it here. DN: These things are quite complex? CH: It is quite complex; we really had the support of the Director of the Blue House, Hilda Trujillo Soto, and the Chairman of the Diego Rivera-Frida Kahlo Trust, Carlos Phillips. They were really instrumental to make this happen here. DN: I think finally this is quite a difficult question for me as a man to ask, but here we have a woman who’s been taken up by the feminist movement; my mother was a feminist, single mother. I just wonder how they managed to square that she put herself second to her husband so much in what she did to let him get away with blue murder. 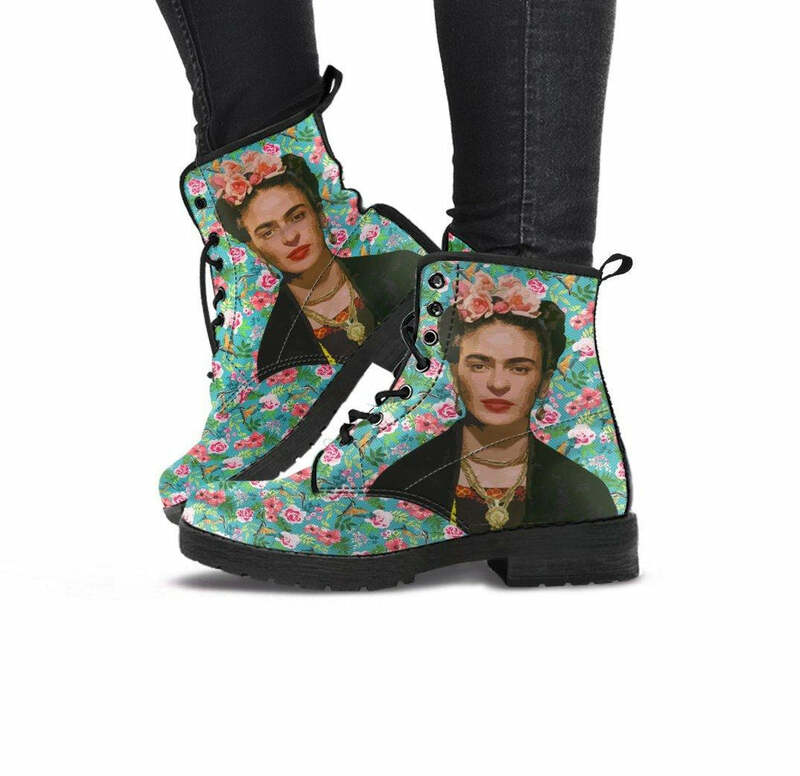 CH: Well, I mean I think she has been adopted by the feminist movement, by popular culture … I think what is important about Frida and the many women that she represents was she was a wife, the victim, the lover, the, you know, bisexual, addict. You know, that’s why she speaks to so many people whether you are bisexual or you suffer from romantic conceptions or you have suffered an illness; she speaks to all of us in so many different angles that, you know, I don’t think you know at that time I think, as I was telling you, through art and dress she found even then a space in a highly male dominated environment in Mexico by dressing up and creating her own art so she was very unconventional. I’m not sure she really allowed or let Rivera because she had as many lovers, and we want to move on from this idea of the victimisation kind of discourse …a discourse from the 80s really, because I think today she is so relevant because we want to celebrate her unconventional ways of being. DN: So she was really very much her own woman. CH: She was; she didn’t allow her disabilities to define her, and she defined herself in her own terms. DN: I think we had our 10 minutes; thank you so much. CH: Thank you; I hope answered the questions. Making Her Self Up is at the Victoria & Albert Museum, London 16th June – 4th November 2018. 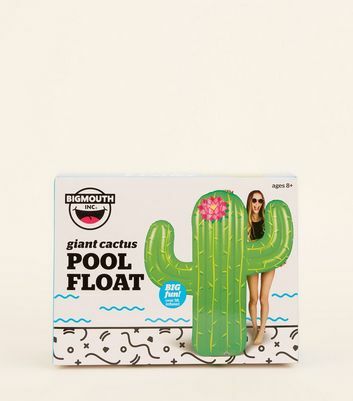 There’s even a giant cactus pool float from New Look, global fashion retailer, which is very similar to the felt cactus wall hanging being offered by the V&A in the above article. No mention though of the connection to Frida Khalo’s work. First a pool float, and now a Kahlo cactus vase! I don’t know if you’re in the UK or not, but if by chance you are, you must take a look at Poundland’s Frida Kahlo cactus vase, all for the glorifying amount of £1. I tried to upload my photo here, but couldn’t manage with the options given; just thought you might like to know if you’re into the Kahlo collectibles. With so many articles everywhere on Frida Kahlo, I’m beginning to get indigestion and have a slight feeling of being over-full. It must be a merchandising ploy, as even the New Art Examiner seems to be involved in it. Is anyone examining the merchandising aspect of her work and its impact? Is the New Art Examining now doing its own merchandising with an extension of the V & A gift shop? By the way, the V & A has 5 pages of their gift shop website dedicated to Frida Kahlo merchandising alone. You must have missed the green and blue £60 rebozo and the £50 felt cactus wall hanging (dust trap by the way) they are also promoting here. Why else would they put these articles on display and include their prices? One does wonder about the 3 items with their prices inside the article if the New Art Examiner hasn’t started a partnership with the Victoria and Albert merchandising department or if the magazine itself has opened up shop. As almost every museum has its own gift shop that visitors are practically forced to go through, it could be that the New Art Examiner has found a way to discreetly have a gift shop inside the articles. This could be the start of something. Circe Henestrosa says that Judith Clark is a very important architect and fashion creator. What are the qualities that make one be classified as “very important”?